dents alike, particularly with more challenging topics such as meta-ethics. encourages students to become their own philosophers. and trace lines of development towards contemporary thinking. nonhuman creatures as well as human well-being. value-theory and as the bases of theories about the Good Life. 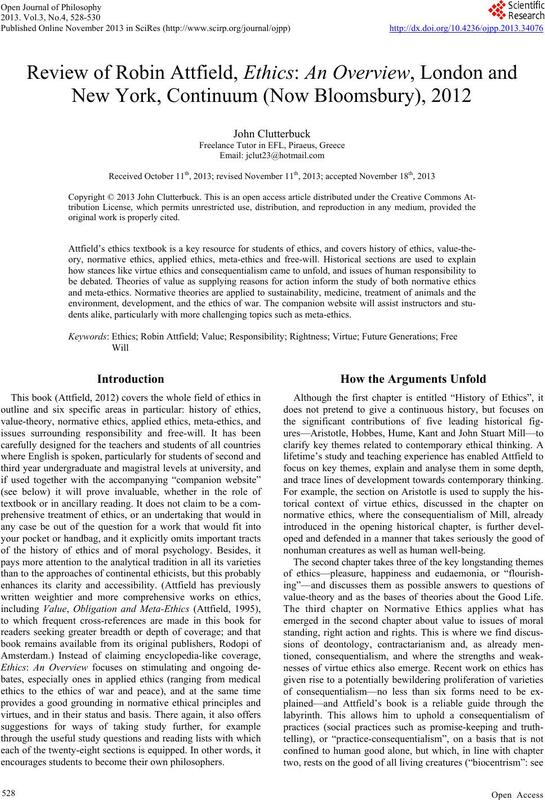 mental ethics (see also Attfield, 2003), and the ethics of war. study philosophy and for whose needs this book is designed. 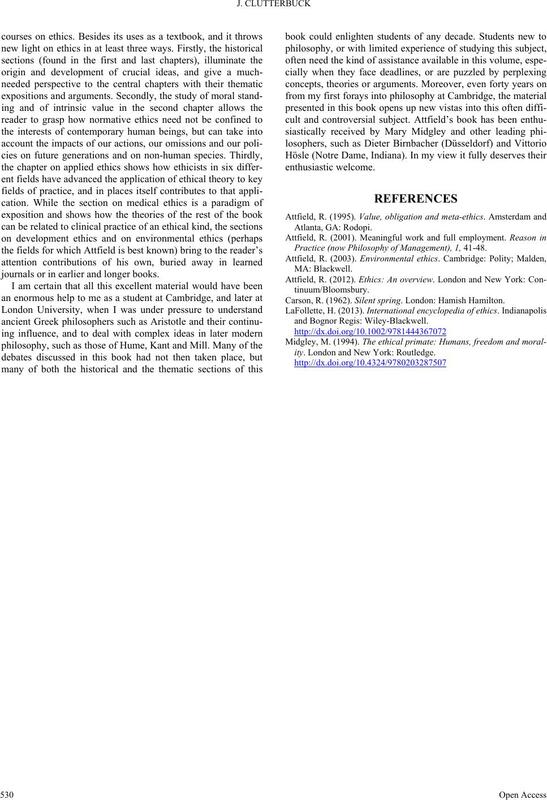 Ethics, and to cognitivism, realism and competing theories. ethics, it turns out, can prove rewarding. 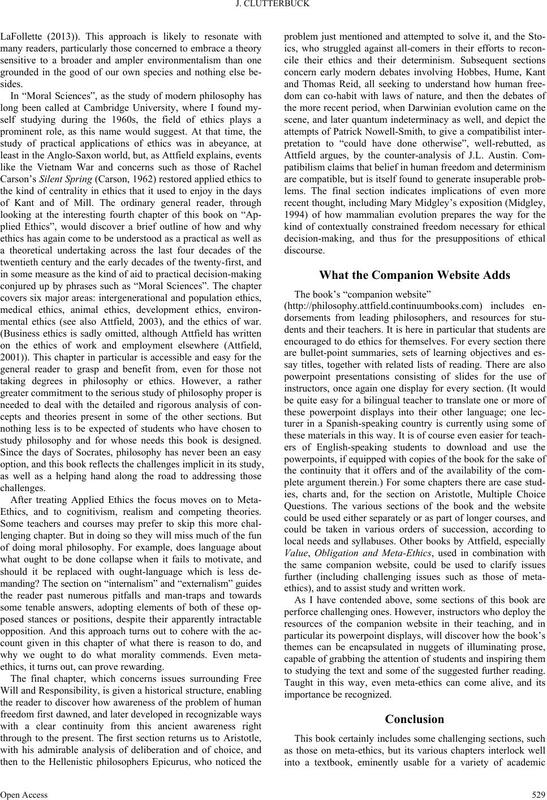 ethics), and to assist study and written work. to studying the text and some of the suggested further reading. journals or in earlier and longer books. Practice (now Philosophy of Management), 1, 41-48. Carson, R. (1962). Silent spring. London: Hamish Hamilton. and Bognor Regis: Wil ey-Blackwell. ity. London and New York: Routledge.